"I have found all my contacts with WCB over the years to be so useful and professional." - Rehabilitation Officer for VI. Wales Council of the Blind is the umbrella agency representing vision impairment within Wales. We work to campaign, lobby and support the improvement of services for people with sight loss. 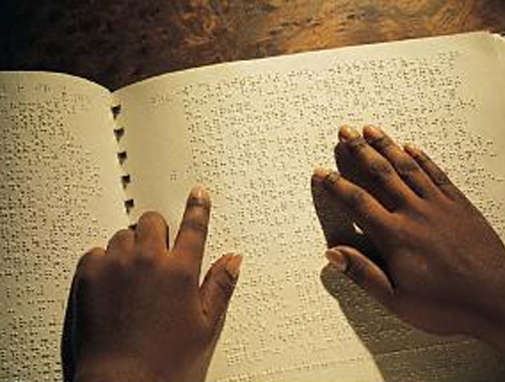 WCB provides a platform vision impaired people to raise their concerns and wishes. WCB's Articles of Association sets out a way of letting their members contribute to setting priorities and work streams. An important part of the new structure is the creation of Regional Steering Groups to inform WCB's work. The four new Regional Steering Groups will be established across Wales, covering North, West, South East and South Central. Each group intends to offer a platform for local clubs, charities, statutory services and people with sight loss to get together and contribute to directing the work and resources of WCB. It's likely that priorities may vary from region to region, and we want that to be reflected in the work of WCB. WCB's Board of Trustees will include four representatives - one nominated from each of the four regional steering groups - to bring the views of the regions to the table. What does Wales Council of the Blind do? keep in touch with what is happening in every area in Wales and in the U.K.
'The sight loss sector in Wales has campaigned as a single voice against Newport’s decision to withdraw from SenCom. We are delighted that the Gwent authorities have decided to commit jointly to the continuation of the best practice SenCom regional service, until 2022. 'We will await the terms and conditions of the review and would like to see any review led by an impartial chair with no pre-determined agenda. We would like to see the chair have knowledge of SenCom and the invaluable services and support that they provide to children and young people across Gwent. 'We also hope that any review will enable proper consultation this time, so that children and their families and carers can make a meaningful contribution to the design of a specialist service that best meets their needs'. You can read a report on the decision on the BBC website. Wales Council of the Blind has prepared a draft response to the Welsh Government's consultation 'Tackling Loneliness and Isolation'. You can find out more, read the consultation document and our draft response in the Consultations section of our website. If you have any comments on our draft response, please let us know by Monday 14th January.